It’s your daughter’s Quinceanera and you need to find the perfect place to host this magical day. You’ll need the food to be catered, a large facility, and help planning the day your daughter’s been dreaming about for years. 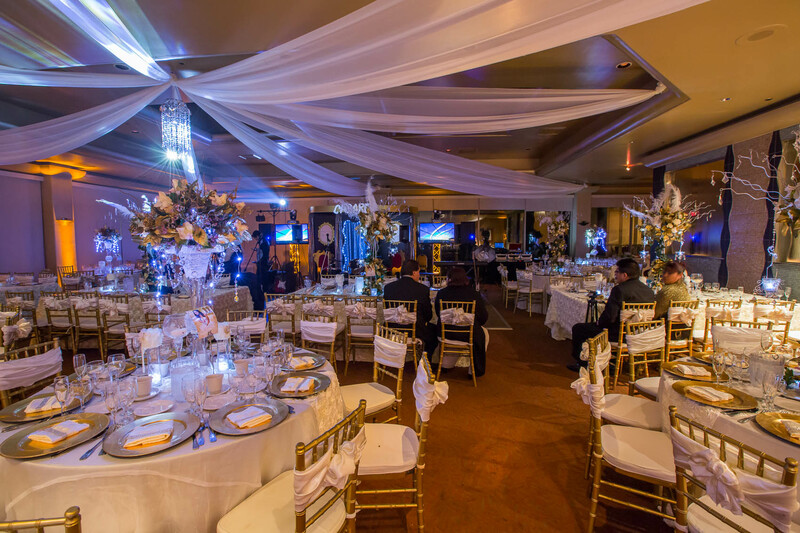 Quiet Cannon is an affordable banquet facility near Los Angeles that has everything you need to host a memorable Quinceanera. • Over 30,000 sq ft of private event space to accommodate up to 1,200 guests. • Breathtaking views of the Championship Golf Course and Los Angeles Skyline. • A full Catering Menu to select from including Buffet Style or Plated options. • Special Event packages to help save you money. • Expert event planners to help with every decision. Our catering staff is dedicated to helping you host this special celebration while saving you time and money. From the menu to the banquet room, we’ll help you make decisions based on budget and preference. • Use the Shop and Compare feature on our website to see how our prices compare to nearby facilities. • Schedule a tour of our facilities to see which banquet room or outside event space will suit your event. • Reserve your event date. • Start thinking about your decorations. Don’t forget to include your daughter in the planning process.